There is more and more concern about safety and security in the home, security of your belongings and the safety of your loved ones. 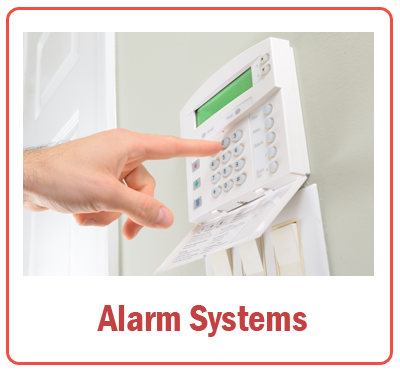 Ahs Monitored alarms offers you a truly unique product and service in the market today all of our systems are built to your own requirements at a cost to fit any budget. Our monitoring stations technology allows us to differentiate between alarm types. Whether it’s an intruder alert, a fire alert, a medical emergency or you just need some assistance, the Alarm Receiving Centre (ARC) can immediately assess the situation within your home, whether you are there or not. This is done with the help of a real state-of-the-art two-way audio connection, just like being in a telephone without the telephone. But the beauty of our system is that this happens immediately and directly through the alarm panel – no need to make or receive any telephone calls, which should you be injured, unable to get to a telephone, or just in a panic situation, is of critical importance. The ARC turns off the siren from their end listens into the situation through the long range speaker that’s built into the alarm panel and then acts accordingly weather it may be intruder/fire/medical emergency or simply needing peace of mind or a loved one to be contacted. Your details and any relevant information will then be provided to the emergency services, before they arrive at your home, to enable them to resolve the problem as quickly as possible and truly protect your home, its contents and more importantly your loved ones. We also offer all of the above in the form of a GSM unit where there is no need for a telephone line. This facility is useful for added security and for boats caravans out buildings etc. Wire Free: Our systems are wire free with the exception of the main panel, which is hard-wired; this means that all PIRs and Door contacts can be fitted with no mess or fuss it also allows the end user to add to the system at any time. Our wire free sensors can be fitted up to 100 meters giving you the facility to arm out buildings, sheds, garages and caravans on your site whilst at home or away. We highly recommend voice verification systems which operate through a long range speaker and microphone built into the alarm panel itself and when an intruder is detected this will provide instant 24/7 assistance from our fully trained staff who assess the situation and act accordingly whether it is the emergency services or contacting the relevant person or loved one. Voice verification eliminates all false alarms. This is also a great deterrent when an intruder hears a live operator asking for a password they usually leave the premises as they know that help is on its way. This reduces the risk of your personal space being invaded. We can also provide alarm systems for your business premises; just call us to discuss your requirements.